Following St Luke’s recent appointment on the Heineken premium beer brand, we immediately started work on creating a tactical outdoor campaign for Sunday’s London Marathon, in addition to the nationwide press campaign for Heineken UK. 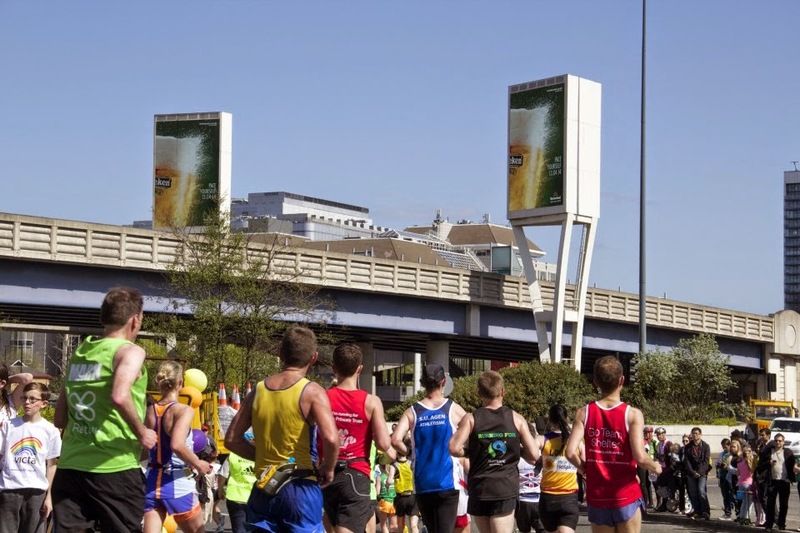 The campaign saw the tactically relevant copy ‘Pace Yourself’ in targeted locations along the infamous Marathon route – a message of support to runners and a reference to responsible drinking. The wider campaign sees iconic Heineken imagery throughout major UK cities with headlines that relate to and connect with their target audience in a light-hearted and humorous manner. Our CEO, Neil Henderson, said: "Sharing a wry smile with 30,000 runners as they slog their way around the capital shows that Heineken is in tune with the lives of Londoners." Everyone at St Luke’s is delighted with the tactical campaign and is eagerly anticipating the next opportunity at the Heineken Cup Final.